Despite of fact that the cars of today’s generation are equipped with latest security tools, there is no decline in the number of cars stolen every year. According to an estimate one car is stolen in every 24 minute across the country, and the most surprising factor of car burglary cases that most of the cars were empowered with robust security measures. But, it seems that with advancement of technology thieves are also becoming techno savvy due to which they are able to break the web of highly advanced locks without any problem. Among different cars stolen only 25% of the cars are traced out by the police department and that also with lots of equipments been taken out from them. The best way to combat the situation is to be smarter like thieves and do not leave any stone unturned when it comes to the security of your car. Going through this problem today we are going to focus on some of the preventive measures which would help you in protecting your car from the eyes of thieves. 1. Try to equip your car with all available safety measures: It is seen that most of the car owners think integration of central locking system sufficient for the car security, whereas the fact is that today breaking the central locking system has become quite easier for the thieves. On the contrary there are plethora of other security tools like engine immobilizer, GPS tracking system, security alarm which are helpful in protecting the car from being stolen. Where the engine immobilizer stops the engine of car from switching on until the original keys are not inserted in the ignition switch, the GPS system is helpful in tracking the location of car if it is not parked at the place where you have parked it for the last time. Similarly integration of loud alarms will let you know about the forceful entrance of someone in your car, as soon as someone tries to break the locks of your car. 2. Parking the car: Try to park your car inside the garage even if you have to go out of home after few minutes. It is seen that lots of car owners park their outside their home as they have to go back for some work in the car and find their car missing from its place as soon as they come out from home. Therefore develop the habit of parking your car inside the garage once you return back to home from the outside. Anyhow if you do not have garage at home try to park your car at some illuminated place, that is guarded and monitored by the guard. If you have to park your outside your home then try to get some security fences developed on the exterior of your house so that intruders may not enter inside your boundary. 3. Try to drive your car frequently: It is seen that there are lots of car owners who do not drive their car for long time due to availability of other sources of transport, and therefore park their car at the place that is close to their home and safe from their point of view. 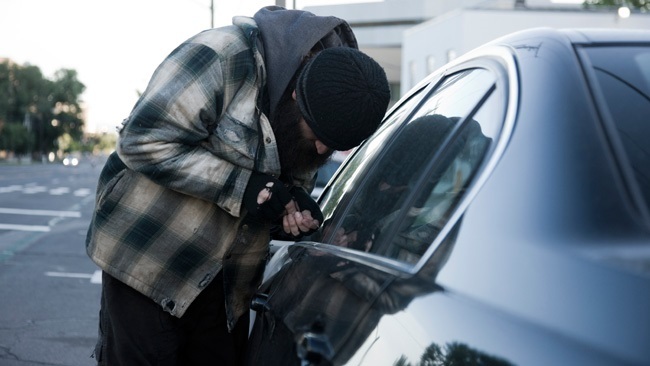 This habit also sometimes invites the thieves to consider the car parked liked this as a useless item and therefore as soon as they get the chance of stealing they do not hesitate in doing the same. 4. Do not leave valuable items inside the car: There are lots of car owners, especially the professionals who leave their valuable gadgets like laptops, official files, documents, bags inside their car. Interestingly all these items are always in the eyes of burglars and therefore they do not leave any option of stealing these items from your car, as soon as you park the car at some lonely place. It would be therefore better to carry your valuable items with you once you come out from the car. Following these small practices will definitely help you in getting your car protected from the eyes of burglars to huge extent.